I had the most wonderful getaway this weekend with a group of mommas. We had a little retreat together at Heifer Ranch in Perryville, thanks to MomCation. 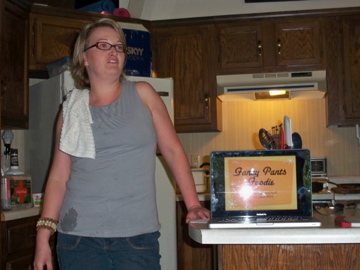 This event was the brainchild of my new friend Fawn, author of Instead of the Dishes (another fab blog). She asked me to teach a cooking class, and I decided to attend the whole weekend, although I didn’t know a single soul there. It was the right decision! And here’s the week of meals I covered in class. As promised, I’m also including recipes when they apply. If you’re reading this on Sunday (maybe Monday), I’ll have to finish updating the recipes later. It’s late, and I have a whole weekend of momma work to catch up on! Are you off work or school this coming Monday? Or if not, want to skip out midday sometime next week for a special treat? 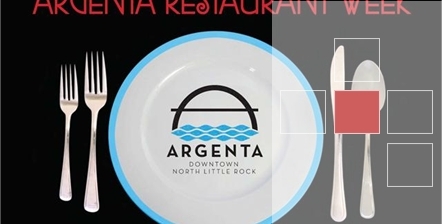 The Argenta area of North Little Rock (primarily Main Street, downtown) holds Argenta Restaurant Week twice a year, and it’s a good time to get your foodie on. This time it’s Monday, Jan. 18 through Saturday, Jan. 23. Several restaurants, some often a bit out of my personal price range, are sharing one great deal: $8 two-course lunches and $25 three-course prix fixe dinner menus, in addition to their usual fare. I can just about promise you that the chefs will use this as an opportunity to hit you with their best creative shot. Participating restaurants include Cornerstone Pub, Creegan’s Irish Pub, Margo’s Catfish Diner and Deli, Reno’s Argenta Café, Ristorante Capeo, Starving Artist Café, and Ump’s Pub and Grill. Need another excuse to get out and eat? Hows about some free stuff? Each time you eat at a participating restaurant during Restaurant Week, you can enter to win prizes from several Argenta merchants. Prizes include four nights at the Baker House Bed and Breakfast, two necklaces from the Argenta Bead Company, a pottery class at Claytime Studios, and a $100 Gift Certificate to the Argenta Market, slated to open in March. Just my opinion, but someone with a good business mind came up with this one. It’s a win-win for everyone. And I suspect it will get more of us over there to try something new! Oh, BTW, don’t be alarmed if you’re new here and wonderin’ why I’m writing about community stuff. It was part of the original intent of the blog (see older posts about farmers markets, chefs, etc.). We’re getting back on track. According redesign soon.